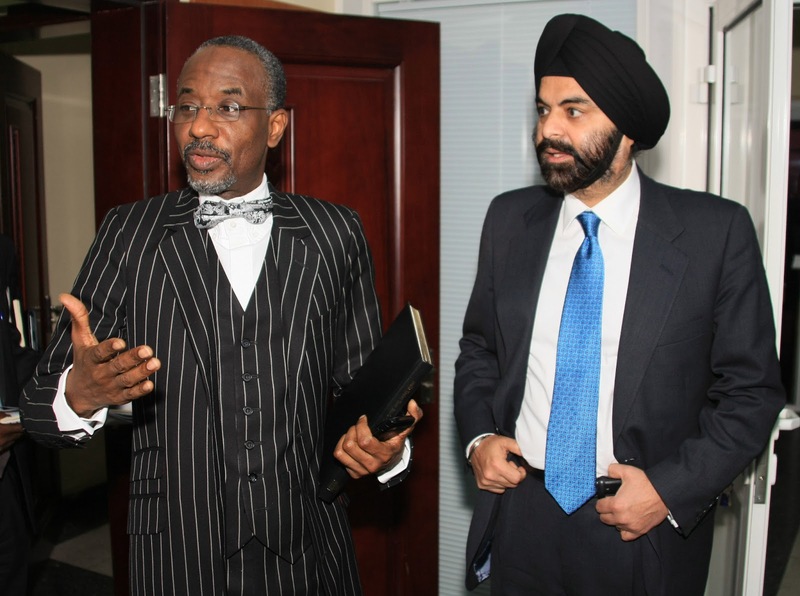 The rapid evolution of the payments landscape in Nigeria was highlighted as a global success story by Ajay Banga, the President and CEO of MasterCard Worldwide, at an address to Central Bank of Nigeria (CBN) officials and other Nigerian officials and business leaders. Banga was on a visit to Nigeria as part of a week-long trip across Africa. The introduction of the CBN’s Cashless Policy was acknowledged as being the driving force behind this evolution. “MasterCard’s close collaboration with the CBN and other stakeholders in Nigeria has proved that collaboration between public and private sector organizations is the key to driving meaningful change in any economy,” said Banga. Banga noted that Nigeria has witnessed a remarkable reform in its electronic payments sector over the past two years, with financial institutions, businesses, merchants and consumers showing a keen willingness to adopt electronic payments. MasterCard’s multifaceted approach to supporting the move to electronic payment includes continuous engagement with the Nigerian government and a number of collaborations with financial institutions and merchants to educate consumers on the benefits of electronic payments. Banga added that it is this approach and the strong relationships that MasterCard has built with all stakeholders, combined with the shared vision of creating a Cashless Nigeria, that has contributed to MasterCard’s success in the country, and what will continue to do so. • Guaranty Trust Bank had taken the early technology adopter position by aligning with MasterCard to promote electronic payments, ensuring that every individual customer had been issued a MasterCard Debit card for electronic card payments. • MasterCard recently introduced Corporate Payment Solutions (CPS) to Zenith Bank corporate customers allowing them to streamline their processes for authorizing, monitoring and reconciling corporate expenditure. • United Bank of Africa(UBA) recently started offering MasterCard Debit cards to their customers offering them the convenience of one card that they could use in Nigeria and overseas for their purchases and payments. • Stanbic IBTC Bank has taken the Cashless Nigeria drive to new heights by discontinuing the sale of Personal Travel Allowance and Business Travel allowance in their branches. Customers are required to use their MasterCard Debit cards for all their international purchase and payment needs. • MasterCard certified Unified Payments Services Limited as a third-party processor in 2012, making MasterCard the first payment brand in Nigeria to have up to three third-party processors which aligns to the CBN’s drive towards liberalization in the card processing space and interoperability. • As part of its holistic strategy, MasterCard has created a platform through which knowledge is shared and gained during bank and merchant training workshops. These sessions focus on card acceptance best practices, card security, fraud identification and management with an overview of cardholder support. The platform has allowed for the further development of meaningful relationships with influencers across a variety of industries. It can be stooped. Check your security settings.